Sometimes, emails goes to SPAM, so also check your SPAM(JUNK) mails. 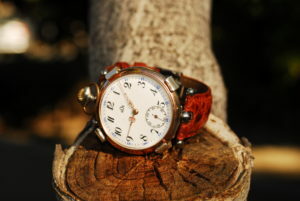 If you haven't receive any email from us email us at support [at] revenantwatches [dot] com. After payment has cleared, you will be sent your tracking code via email, when the item is sent. On login, click the "forgot password" tab. Then follow the onscreen instructions. Does Your Work devalue the watches? Absolutely not, the watches are not altered in any way. The watch is also insulated from the carrier by small leather pieces on each retaining arm, the base is protected via a small leather disc. This way the carrier does not mark or scratch the watch itself. No we don`t repair watches. It is more economically viable to take your watch to a local horologist for servicing or repair. Why my lighter has no flint or gas? Depending on the country to ship. There are strict regulations on shipping lighters with mail. Lighters will be empty (without gas) The flint will be removed and not shipped. We do not have an automated system in place however, send us the details of your referral. Name, email address, telephone. If your referral orders from us we will pay a 5% commission to your PayPal account. Do you accept Crypto Currencies? Can i use my watch for everyday activities? Generally the answer is YES, i have been wearing my watch for 5 years without issue, pretty much everyday. However, these watches are 100 years old or older. They were built well, but were not designed to endure outdoor sporting activities such as mountain biking. The watches will lose time if continuously jolted, if jolted violently the mainspring can fail. If you are going to do a vigorous activity either wear a more appropriate time piece or take off the watch until you finish. No, unless otherwise stated the watches are not waterproof. The patented watch holding mechanism, is guaranteed for life meaning: If a part of the mechanical mechanism fails due to faulty manufacturing, we will correct the issue. We will not cover under obvious misuse or excessive forces. The straps are perishable items and will fail over time. You can prolong the life of your strap with specialist oils. The watches carry no guarantee, except the watches will be working and keep good time when they are sent to clients.